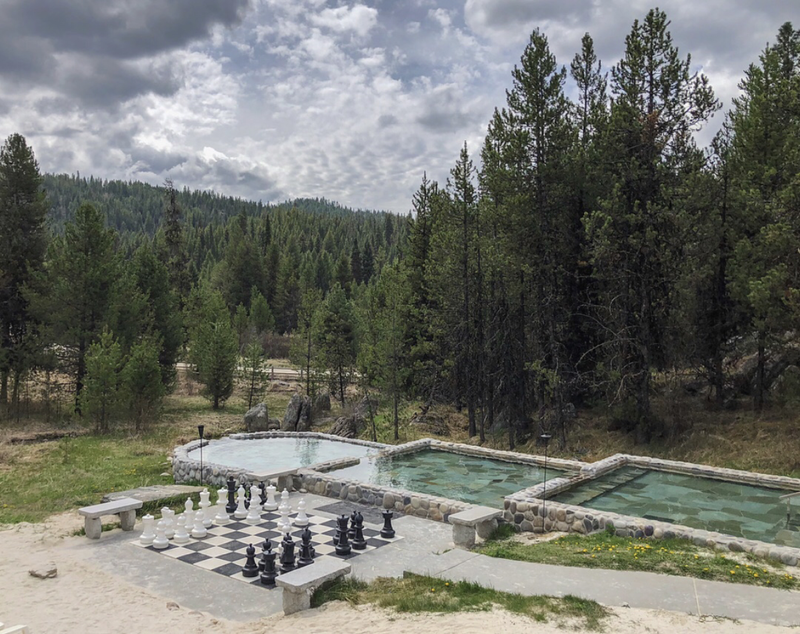 General Description: Gold Fork Hot Springs​ is a privately owned resort that boasts six outdoor all natural hot spring pools formed by natural rock formations. They use a flow through system so the hot springs are pure Mother Earth mineral water. Gold Fork is located along the Gold Fork River among the beautiful pine trees in Valley County, Idaho. Location: ​From Boise, Idaho is 100 miles or about 2 hours to drive to the hot springs. Accessibility: Gold Fork Hot Springs​ is accessible. You can drive up to the resort. The last six miles is on a maintained dirt road. The hot springs are an easy walk around the hot springs. This hot springs has handicap accessibility. 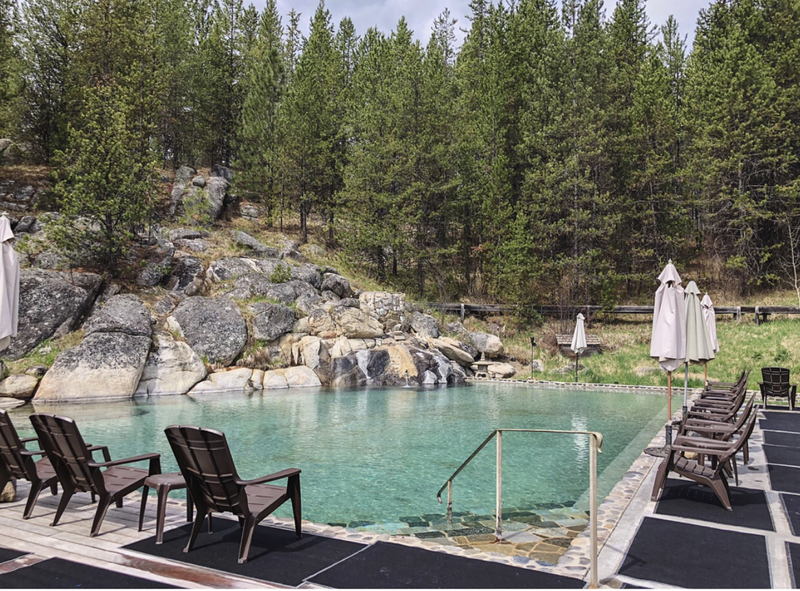 Hot Springs: ​Gold Fork Hot Springs ​boasts six pools formed by natural rock formations in a flow through system. Temperatures range from 85-110°F. There is a sandy pool for children. Gold Fork is a flow through hot springs so that means that they no chlorine or treatment to the mineral water. The water contains lithium. Clothing is not optional. Hot Spring Tips: ​Gold Fork Hot Springs is open year round. Gold Fork offers day use soaking. This resort has a giant chess board for your enjoyment. (pic above) Alcohol is allowed, but no glass containers. This hot springs is not pet friendly. Clothing is not optional. Bring your bathing suit. They offer a limited snack bar for supplies. They have changing rooms and bathrooms. They do not accept credit cards or debit. Bring cash or check. No smoking at the resort is permitted. ​They offer suits and towels for rental. Changing Rooms that are Heated. Gold Fork has free lockers. Youtube Video on Gold Fork Hot Springs is below.